Liverpool boss Jurgen Klopp has omitted Xherdhan Shaqiri from his squad to face Red Star Belgrade in Europe on Tuesday. The Reds will travel to Serbia for their fourth Champions League fixture of the campaign in Group C, looking for a third win to all but book their place in the knockout phase. Wins against Paris Saint Germain and Red Star at Anfield either side of a 1-0 defeat against Napoli in Italy have seen Klopp’s men into top spot, one ahead of the Ligue 1 outfit. 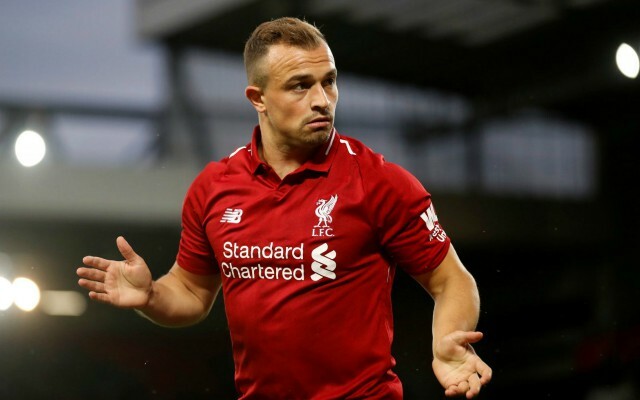 However, Liverpool will have to make do without in-form winger Shaqiri for their latest clash, after Klopp reluctantly left him out of the squad, as per the club’s official website. The Swiss star courted controversy in the 2018 World Cup by celebrating a goal against Serbia by making an eagle symbol with his hands, while also wearing boots with a Kosovo flag imprinted on them. 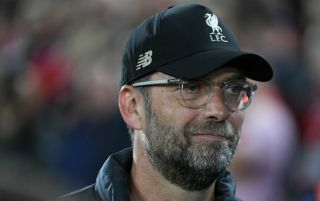 According to the Daily Mirror, Klopp explained why he had to leave Shaqiri out to avoid a political issue in an interview on Monday, as he stated: “We have heard and read the speculation and talk about what kind of reception Shaq would receive and although we have no idea what would happen, we want to go there and be focused 100 per cent on football and not have to think about anything else, that’s all. “We have no political message, absolutely not. We want the focus to be on a great game of football, free from anything else. The 27-year-old attacker has been brilliant for the Reds in recent weeks and seems to be relishing his new role at Anfield following his summer move from Stoke City. In his absence, Liverpool still have plenty of attacking options, but supporters will surely be disappointed to lose one of the team’s most influential players heading into such a crucial match. The Switzerland international will likely make his return to action this coming Sunday, against Fulham in the Premier League.